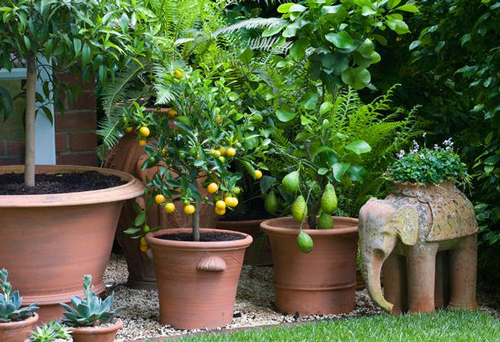 We love the possibilities that container gardening opens up, from growing in small spaces to allowing us in Ohio and Kentucky to enjoy exotic varieties of plants. Full sun containers need to take the heat! 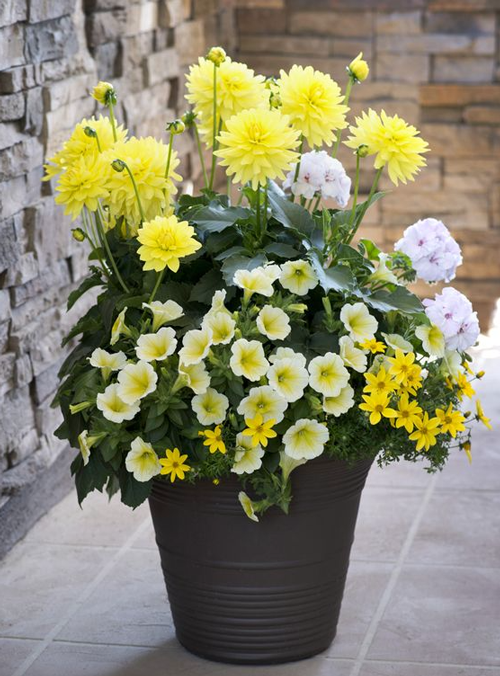 But this is also your best option for opulent, colorful blooms. Osteospermum (cape daisy) or dahlias provide large, cheerful flowers. For small, prolific blossoms, go for lantana or calibrachoa. All of these come in a variety of shades you can mix and match to create stunning arrangements of texture and color. Move aside, impatiens! There are many other exciting options to make your shady spaces more verdant than this classic staple. Shady containers can bring beauty to your porch, on your deck or under your trees. Coleus come in many striking varieties of colorful, patterned leaves that spread and mound in abundance as the season goes on. 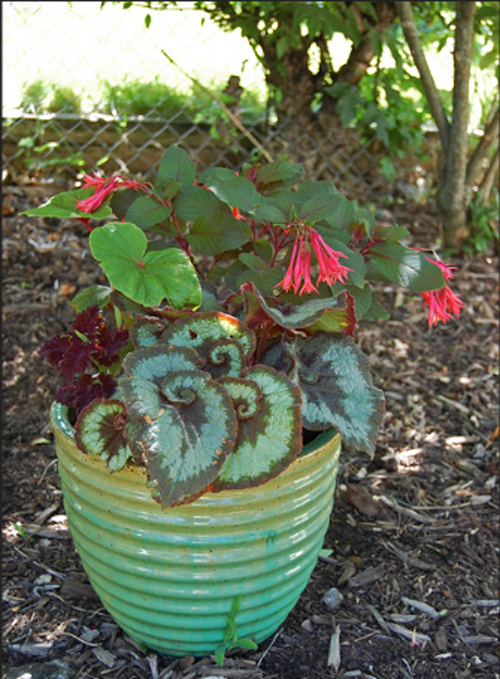 Fuchsia blooms with unusual, delicate flowers that pop with color. Snapdragon in the shade will last longer, as they prefer cooler weather– and there are dozens of colors and varieties to choose from. 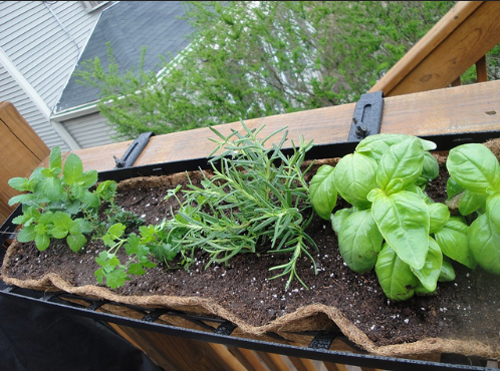 Enjoy a pinch of fresh herbs anytime by planting a container herb garden. Some hardy perennials like mint, oregano and lemon balm can winter outside in containers, if they are sheltered. Annuals like basil need to be purchased new or grown from seed each year, but this is still your most economical option for summer-long pesto. Get adventurous with herbs you don’t usually find in the grocery store, like bold epazote, an herb popular in Mexico. You’ll need to be able to heft this container indoors for the winter, but there’s no better way to grow fruit that usually wouldn’t thrive in our climate. There are dwarf varieties of Meyer lemon, fig, pomegranate and Calamondin orange. Container gardens require frequent watering– sometimes every day! Busy schedules and vacations can often result in a planter full of drooping brown. But installing drip irrigation directly into your containers means you can enjoy your plants without ever having to lug out the watering can. Call us at TriState Water Works to see how quickly drip irrigation can be added to your system.